TORONTO—Swans often symbolize purity, grace, and perfection. They are linked to feminine beauty and strength. Few other art forms value these qualities as much as classical ballet where strength, purity of form, and the pursuit of perfection are what every dancer strives for. It is little wonder that the image of the swan has been so closely linked to the image of the ballerina, and “Swan Lake” is the ballet that brought this association most closely to our consciousness. “Swan Lake” premiered in 1877 at the Bolshoi Theatre in Moscow with music by Pyotr Ilyich Tchaikovsky, now recognized as one of the world’s foremost composers. His music lives on today in three of the most renowned classical ballets: “The Nutcracker,” “Sleeping Beauty,” and “Swan Lake.” Even those who have never seen “Swan Lake” have probably heard the music before, either on the radio, in a film, or in a TV commercial. It is some of the best music ever written. While the ballet experienced relatively modest success at its debut, it was the 1895 revival by choreographers Marius Petipa and Lev Ivanov at the Mariinsky Theatre in St. Petersburg that served as the basis of countless adaptations by ballet companies around the world that are still continuing today. “Swan Lake” possesses some of the key characteristics of classical ballet: mastery of technique, grandeur of movement, and perfect poses. It places incredible physical and artistic demands on the dancers, from the corps de ballet to the principals. Moreover, the opportunity to dance the lead roles of Odette and Odile has been an aspiration for young ballerinas for decades. ‘Swan Lake’ possesses some of the key characteristics of classical ballet: mastery of technique, grandeur of movement, and perfect poses. For National Ballet of Canada second soloist Hannah Fischer, getting the chance to perform these roles is an honour, but she admits it is also nerve-wracking. Born in New York City in a family of dancers, Fischer trained at Canada’s National Ballet School before joining the National Ballet in 2012. In 2015, she performed the lead role of Hermione in Christopher Wheeldon’s “A Winter’s Tale,” for which she was acclaimed for her purity, beauty, and grace. “They’re both really difficult in their own way,” says Fischer of her “Swan Lake” roles. “Odette is about control and balance and really pure lines. Odile has a lot of turns and jumps and more tricks, so you have to be able to develop both those kinds of techniques if you really want to make the contrast between the two roles,” she explains. 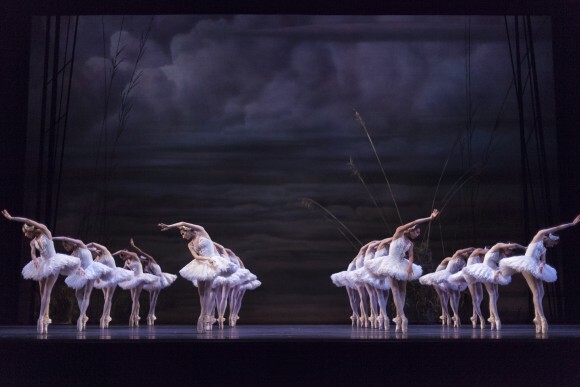 The National Ballet is bringing back its production of “Swan Lake” this month, with choreography by Canadian James Kudelka. The story of “Swan Lake” has undergone several adaptations, but the basic premise is the same. Siegfried, a prince, falls in love with Odette, the Queen of the Swans, who is trapped by the evil sorcerer Von Rothbart. When the prince’s mother organizes a ball where he is to choose a bride, Von Rothbart arrives with his attractive daughter Odile, determined to entrap Siegfried. Siegfried is enchanted by Odile—whom he believes to be Odette despite many character differences—and vows to marry her. Von Rothbart triumphs over the prince, who is heartbroken upon realizing he has betrayed his beloved Odette. He runs back to her and the Queen of the Swans forgives his betrayal, only to be confronted by Rothbart’s wrath. The parts of Odette and Odile are usually played by the same dancer. Good and evil, faithfulness and betrayal, purity and lust are important themes of the ballet and resonate deeply with audiences. Forgiveness is another dominant theme. “In the pas de deux you can see [Odette’s] heart break, but also her love for [Siegfried]. It’s beautiful that she forgives him even after he’s betrayed her—granted, he didn’t realize it—but it’s hurtful to be betrayed,” Fischer says. Classical ballet remains very relevant today, she adds. “We live in an age where everything is at our fingertips and at our disposal, but that’s a great reason to go to the ballet to discover that slow and pure and classical is beautiful too,” says Fischer.